Dubai: The government of Abu Dhabi will own 60.2 per cent of the new bank that will be formed following the completion of a merger between Abu Dhabi Commercial Bank (ADCB) and Union National Bank (UNB), with the new entity acquiring Al Hilal Bank. The Abu Dhabi government’s ownership in the banking group will be through the Abu Dhabi Investment Council. Other ADCB shareholders will own 28 per cent, while other UNB shareholders will own 11.8 per cent in the new entity. The new board and management will assume their new roles when the transaction becomes effective following regulatory approvals. “It is a landmark deal for the UAE that will contribute significantly to our national ambitions. A robust and innovative financial sector is crucial to the long-term prosperity of the UAE, as the country forges its transition to a diversified economy, connected to global markets by business and personal networks, trade and investments,” said Eisa Mohammad Al Suwaidi, chairman of ADCB and chairman-designate of the new entity. The merger creates a major banking institution, which will play a key role on the UAE economic landscape, with a strong and optimised balance sheet that is well-positioned to face global economic challenges head on. Increased productivity and economies of scale are expected to contribute to greater profitability and allow the bank to be highly competitive in its offerings to corporate and individual customers, in both the conventional and Islamic banking segments. The transaction will create significant scope for achieving cost efficiencies in the coming years. The combination is expected to deliver cost synergies of approximately Dh615 million ($167 million) annually, which equates to around 13 per cent of the three banks’ combined cost base — above the global benchmark of between 8 per cent to 10 per cent for similar domestic transactions. These benefits are expected to be realised over two to three years. As far as adding to shareholder value, the merger wields high potential. It is expected to produce a steady and gradual uplift in earnings per share for the shareholders of the three banks, with the new entity expected to deliver double-digit returns on equity. The combined bank will benefit from a strong balance sheet, solid financial metrics, and favourable access to capital markets. Its capital position will comfortably exceed Basel III regulatory requirements. 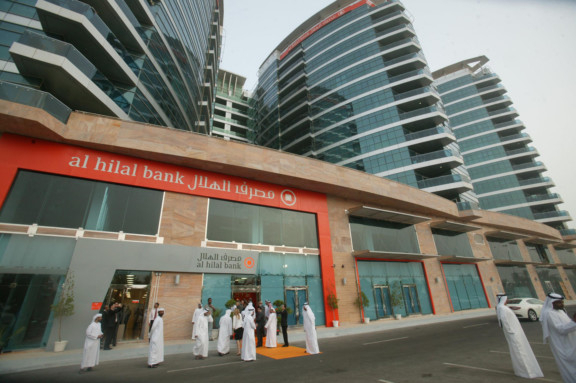 The combined bank’s funding profile is expected to be diverse, with pro-forma customer deposits accounting for 75 per cent of total funding, including a strong low-cost CASA (current account savings account) base of Dh96 billion. Wholesale funding is expected to make up 18 per cent of total funding as of 30 September 2018. The bank will also have a healthy net loan-to-deposit ratio of 96.5 per cent. “The bank will take advantage of scale and efficiency to invest further in developing its people, products, services and channels, with the objective of gaining greater market share,” said Ala’a Eraiqat, ADCB group chief executive officer and board member, and group CEO-designate of the merged entity. Post-merger, the new bank’s profitability metrics will be strong, with a pro-forma cost-to-income ratio of 36 per cent, with significant potential for improvement — thanks to substantial cost saving opportunities and expected double-digit returns on average equity. The expected net interest margin of the combined bank is 3 per cent. “This transaction is a confident and transformational move that creates a new, robust and agile financial institution, built on a strong track record in conventional and Islamic banking. With a wide and balanced customer base, the ADCB Group will focus its customer-centric growth strategy on its home market of the UAE, with a selective international presence,” Eraiqat said. Dubai: Union National Bank has announced that its chief executive officer Mohammad Nasr Abdeen will retire from his services when the bank holds its annual general meeting. In a statement posted on the Abu Dhabi Stock Exchange’s website, the bank said following Abdeen’s retirement, Ajay Bhuptani, deputy CEO, will officiate as acting CEO until further notice. The proposed transaction between ADCB and UNB will be executed through a statutory merger. ADCB will issue 0.5966 ADCB shares for every UNB share, corresponding to a total of 1,641,546,697 new shares issued to UNB shareholders. The exchange ratio implies a premium to UNB shareholders of 0.6 per cent versus the closing price of the previous trading day (January 28, 2019) and 13.7 per cent versus the pre-leak share price. On the effective date of the merger, UNB shares will be delisted from the Abu Dhabi Securities Exchange. The combined bank will retain ADCB’s legal registrations. Al Hilal Bank will be acquired by the combined ADCB/UNB entity, for a consideration of approximately Dh1 billion, through the issuance of a mandatory convertible note for up to 117,647,058 post-merger ADCB shares to ADIC after the completion of the statutory merger. The three banks will continue to operate independently until the combination becomes effective, which is expected within the first half of 2019. The combination is subject to approval by shareholders and relevant regulators, including the UAE Central Bank. The transaction requires the approval of at least 75 per cent by value of the shares represented at quorate general assembly meetings of both ADCB and UNB.